Have you ever worried how to crack your neighbors WPA2 Key to gain access to his Wi-Fi? If you are the owner of an Apple Computer and you have cable Internet or a 3G mobile Internet at home, you have no more need to spend your valuable time in trying to hack a WPA2 Key. This tutorial has been tested with a MacBook using Snow Leopard. After setting up the Wi-Fi Network I connected my iPhone and a another Windows XP Notebook to it, what worked fine for both. I am quite sure you can do the same with Windows and Linux, but I didn't try it as it worked so smooth with the Mac. 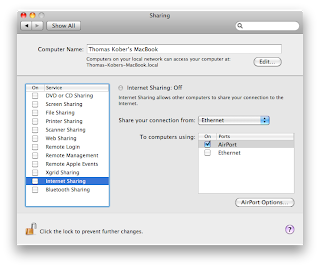 Setting up your Mac to act as a Wi-Fi Hotspot is simpler than taking a Screenshot on the very same device. I will guide you Step-by-Step through how to do the necessary Settings, documented with beautiful Screenshots (although I almost broke my fingers while taking Screenshots from my MacBook). To share the magic with your Windows PC there are some further steps necessary. 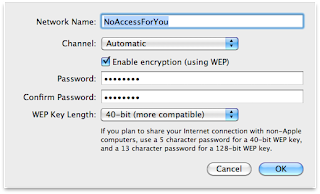 First Open your Internet Sharing again (Step 3) and set up the Security to a WEP 128 Bits Key. Important Hint: Enter a password with exactly 13 Alphanumeric characters if you can't establish a connection with your Windows PC. Right-Click on the Wireless Network Entry and select Properties. On the upcoming Dialog choose the Tab Wireless Networks and in the frame Preferred Networks, click add. No it comes down to set up the Wi-Fi according to the Settings with which you set up the Mac Host Network. 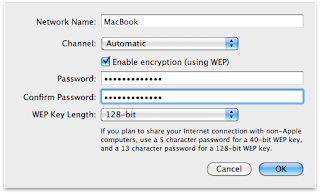 Enter the Name you have given the Wi-Fi Network on your Mac, select "Shared" for the Network Authentication, "WEP" for Data Encryption and enter the Password you defined on the Mac. De-select the checkbox that the Key is provided automatically. Then press Ok.
Now the "MacBook" Network (the Name I gave the Wi-Fi on my Mac) is set up as a preferred Network, press OK again and navigate back to the Wireless Network Connections. When everything is set up correctly, your Windows Computer should already have started to connect to the "MacBook" Network. Things with Linux (Note: This example has been done on openSUSE 11.2) are about the same as with Windows. We'll shortly revise our Mac's Host Settings: Internet Sharing enabled with a 40/128 Bit WEP Security enabled Key (See steps 2 - 4). Important Hint: Again the Password, with 40 Bit must consist of 5, 10 or 13 alphanumeric characters, with 128 Bit I only tested the 13 character variant. The reason for this is restrictions on Windows and Linux are, that you are trying to connect devices running different operating Systems. On the openSUSE Tasklist, select the Network Connection, where you should see your Network. Select your Entry where the Authentication Window should pop up. 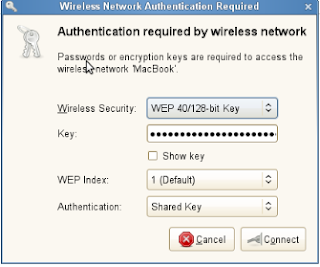 There, select WEP 40/128 Bit Key Security, enter the Key and, important, select "Shared Key" as Authentication. WARNING! This no longer works with OSX lion, you need an active internet connection before it will create the hotspot, so if you want to transfer files while your out of the house, or stream a movie to your phone when you don’t have a wifi connection nearby then you cant! Also, it means i need an internet connection to move spotify tracks to my iphone. Can you tell im annoyed with lion right now? 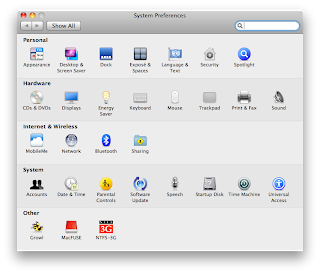 I experienced similar problems on OS X Lion. First of all update to 10.7.1, then trial and error through the different channels. For me channels 4 and 11 didn't work, all others seemed to be fine. Rule of thumb is somehow, when OS X Lion prompts you for the SU password, then the channel very likely won't work (it might mean the channel is already in use or something). Will do some more research an then update this Post. Hey, do you have any tips for troubleshooting sharing internet with my iphone from my macbook air? I'm connected via USB port => ethernet cable. I have performed steps 1-5, and I can connect to my computer via wifi from my iphone (full bars), but I have no internet access. My macboook does, though!